I am working on Part 3 of my Ramadan:An Outsider’s Perspective series of posts, but had to take a moment to address current events in Israel and Palestine. If you haven’t noticed yet the news from the Middle East on most web-based new services is chock full of reports of Palestinian attacks in Southern Israel that left 7 dead and others wounded. These attacks targeted civilians on a tour bus, a military vehicle, and a private car. First I have to say in no uncertain terms that any attack targeting civilians is deplorable, heinous, and is inexcusable. This kind of activity does nothing to further Palestinian political causes and is a detriment to any attempt at a peace process. And it is a war crime, plain and simple. That said … so are the 13 air attacks by Israel against Gaza in July and August of 2011 up to this date. The latest two days ago on August 16th killed one and wounded 7 – some civilians as well. These amount to a collective punishment on a civilian population and is akin to the US gov’t repeatedly bombing LA in an effort to curb gang violence. One attack this August included the shelling of the Al-Zaytouna neighborhood where I lived when I visited Gaza back in the 90s. I don’t know about now, but back then this was just a residential neighborhood with no obvious military presence. Just like in kindergarten 2 wrongs do not make a right. Nor do 100s or 1000s of wrongs by both sides over the last 5 decades and more. Like I said – the attacks in Israel today were deplorable. But they do not exist in a vacuum – if Palestinians are responsible for them. This of course seems likely. But all the news so far is from Israeli government sources that would not likely say otherwise, nor are they likely to provide any evidence or follow-up investigation if past incidents are any indication. Israeli Gov’t sources say that the attackers came from Gaza, into Sinai, and into Israel. Apparently they have “very, very specific information” that indicates this. What that info is we will never know. The attack was apparently followed by skirmishing across the Israeli-Egyptian border. This appears to have been with armed militants that Israel reports are part of Hamas. However, both Hamas and Egypt deny any involvement in the attacks. So far we just have Israel’s say-so on who was behind the attacks. Eqypt has recently sent 1000s of troops into the Sinai to strengthen security there due to rumors of al-Qaeda stirrings in the Sinai. I have written elsewhere about al-Qaeda co-opting the Palestinian struggle for its own ignoble purposes. It would not surprise me if this attack today was their handiwork and not that of any true Palestinian group. Unfortunately ordinary Gazans will bear the brunt of today’s attack. I am certain Israel will retaliate with airstrikes and it is likely that more civilians will die in this grotesque game of an eye-for-an-eye being played out on the world stage. How much innocent blood must be spilled before both sides can lay down their “right” to revenge and agree that for future generations that enough is enough? Spinning Gaza … yet again. With the opening of the Rafah crossing between Gaza and Egypt the Arab Spring is in full-bloom! Yet some are none to pleased about this turn of events. But, please . . . please do not give in and believe easily all of the spin and negative rhetoric that is being pushed by the other side right now. Yes, you know who I mean by “the other” side. I try to remain somewhat neutral when I can, but the situation in Gaza is one of the biggest injustices of the past decade. Plain and simple. Below is a list of some of the spin I am picking up in the media over the past week or so re. Palestine along with my version of the “truth.” Of course these statements of truth reflect my own personal bias. However, I fully admit to it. Unlike some….. Spin: Hamas siezed Gaza in 2007. Truth: Hamas was elected in democratic elections which had been strongly advocated for by both Israel and the USA. Anyone with an ounce of understanding about Palestine could have seen that one coming. The ruling Fatah party did, and strongly cautioned that Palestine was not ready for elections. American politicians either didn’t believe it or didn’t care and pushed hard for elections. Once Hamas was elected (due to strong public works initiatives, anti-Fatah corruption stance, and strong rhetoric against Israel) the US cut off diplomatic ties. IMO, this was one of the biggest foreign policy debacles of the past decade. Was Hamas being elected the best possible outcome from the elections? Absolutely not. Were the elections possibly rigged? I seriously doubt it. Should the US taken this as a serious wake-up call and need for a change in directions in Middle East foreign policy? Yes. The first thing they should have done was appoint Jimmy Carter as Ambassador (or Special Envoy) to Palestine and kept the channels of communication wide open. Spin: An open border with Egypt will allow guns and Iranian weapons experts into Gaza. Truth: Both are most likely already there. The result of a completely blockaded border around Gaza (read: open-air prison) has been the development of a system of tunnels under the Gaza-Egypt border and “illegal” trade in everything from cement to cigarettes, guns to chewing gum. And probably a few Iranian weapons experts made it in too. Israel and the old Mubarak regime in Egypt were constantly griping about the tunnels and trying to shut them down – but the fact of the matter was they were Gaza’s lifelines in a very desperate time. Ask yourself what you would do as a normal law-abiding citizen if your town was completely blockaded by sovereign power. Would you politely request your duly elected government to stop their misguided approach to international politics in hopes that someday a shipment of flour might make it to your local supermarket – or would you line up at the end of the tunnel where all of the “illegal” flour was coming into the country? Now that the border with Egypt is open, everyday commodities needed for health and life will flow through the open borders and the tunnels will only be used for truly illegal things. Now the Palestinian authorities can join with Egyptians in shutting down the tunnels. As for the Iranian weapons experts – don’t get too worked up. If they have been helping up to this point they haven’t been that good. Palestinian military tech is woefully inaccurate. Also Iran has co-opted the Palestinian cause and ultimately Palestinians have no natural affinity for Iran. Which brings me to . . . Spin: The open border with Egypt will increase Iranian support of Palestine. Truth: American foreign policy already pushed Palestine towards Iranian support. It’s about time somebody else starts speaking up for the underdog. This is simple playground rules. When someone is being bullied they look for help. When they are getting beat up real bad on a regular basis, they will look for help from anyone bigger and stronger than they are. They will especially look for help from someone who is enemies with the one that is beating them up in the first place. Even if the one being picked on isn’t really friends with those people. When your back is against the wall and your being threatened sometimes you throw in with some unsavory types. Especially when all the cool kids are just hanging around watching and not wanting to get their knuckles dirty. Or if it’s the cool kids’ friend that is doing the bullying. With America refusing diplomatic relations with the duly elected government of Palestine, US foreign policy pushed Palestine into the arms of Iran making the situation much worse than it ever was before. Will Iran have freer access to Gaza now. Perhaps. But to what end? The truly cool kids on the playground are the ones who stand up for the underdogs even when it is their own BFF that is beating them up. Spin: Obama was out of line and endangering our relations with Israel, not to mention Israel’s security by suggesting a return to 1967 borders. Truth: George W. Bush said the same thing a few years ago. If you don’t believe it – check out this letter from W. to Ariel Sharon. Bush used a term that probably makes more sense – “the 1949 armistice lines” but in effect both he and Obama said the same thing. Bush even advocated for a two-state solution in his letter. So what is all the fuss about? What are Republicans griping about? American politicians need to stop posturing over Israel-Palestine and stop cowering in fear of AIPAC lobbying money being pulled out from underneath them and actually stand up for what’s right and just in the region. Besides Obama was clear in his speech that the ’67 (or ’49) borders were the basis for final border negotiations with the idea of mutually agreed upon land swaps. This has been part of every American backed plan for peace in the Middle East for the past several years. Why is Obama taking heat for it. Obama went on to speak very strongly against any Palestinian backing of terrorist operations or denying Israel’s right to exist. Spin: Per Benjamin Netanyahu they 1967 (1949) borders are indefensible. Truth: It is decades of illegal Israeli settlement activity that have made that border indefensible. Anyone who has spent any time in the West Bank know that it has not been a contiguous Palestinian territory for a very long time. It is riddled with Israeli settlements like a hunk of Swiss cheese and sliced up by Israeli roads that Palestinians are forbidden to drive on or build near. The long-standing policy of Israeli’s constructing settlements and roads on Palestinian land has disrupted the natural growth and development of Palestinian society. It has also acted as an Israeli insurance policy to be cashed in on the day final status negotiations begin in earnest. With all of the territory and population represented by Israeli settlements in the West Bank, surely Israel would have the right to protect those interests. They couldn’t ask those citizens to leave their homes and property could they? (Kindly note the dripping sarcasm). The 4th Geneva convention clearly states that it is illegal for an occupying power to transfer citizens to settlements within the militarily occupied country. It would be like Americans setting up American-only cities in Afghanistan or Iraq. Crazy. It would never happen. Yet we’ve let Israel do it for over 40 years. And now Israel is crying, “How will we protect our citizens if we go back to the 1967 borders?” Well, maybe you shouldn’t have continued to steal Palestinian land to build your illegal settlements? For those who think I am being to harsh I saw it with my own eyes back in the 90s. A Palestinian farmer whose family had owned land since Ottoman times, routinely had land stolen by settlers. They would come out at night with automatic weapons and extend their fence 10 more meters into his property. The year we visited him they also burnt his wheat harvest. Which brings me to the last spin . . . Spin: Palestinians are not true partners for peace. Truth: Neither are the Israelis. Anyone who honestly looks at the 100+ years of history (I’m going back to the beginning of the “modern” zionist movements) cannot see either side as being 100% committed to lasting peace. Both sides have committed great atrocities. Both sides have advocated and politicked mostly for themselves. Both sides have sought the upper hand. But, honestly . . . Israel has had the upper hand for quite some time. They have been almost completely in control of the territory since 1967. They have continually tightened the noose around Palestine’s neck. The discomfort this caused led to two intifadas, but, really – if the Palestinians had enough resources, don’t you think there would have been an outright war by now? So, yes the Arab Spring is in full bloom … but I fear a scorching Middle Eastern summer is due to hit anytime soon and all the flowers that have sprung up around the region will soon wither and die. Jordan – it is a uniquely American recognition of the life and work of one of the world’s great civil rights and peace activists. MLK’s life’s work and ultimately his sacrifice in death paved the way for the positive changes in the circumstances of African Americans in the US over the last 40-50 years; and indeed race relations in general. While no one would deny that there is still much room for improvement, 46 years after King’s historic “I Have a Dream” speech in Washington an African American serves in Washington as President of the United States. 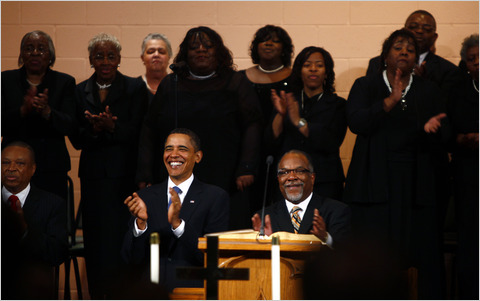 Yesterday President Obama spoke at Vermont Avenue Baptist church and invoked the memory of MLK’s hard work and influence . Within the shadows keeping watch above his own. With this verse, I couldn’t help but think of another anniversary that was marked today. A year ago today, Israel’s deadly offensive into Gaza (Operation Cast Lead) ended. The result? Shattered homes and lives. Medecins du Monde UK, Oxfam, Save the Children UK and Trocaire) recently released a report detailing the current abysmal situation in Gaza (T h e G a z a S t r i p : A H uma n i t a r i a n Imp l o s i o n). None of Gaza’s 1.5 million residents are allowed in or out of the territory and a strict blockade has prohibited the import of goods and supplies, including building materials, food, and much needed medicines. 95% of Gaza’s industry remains non-functional because of lack of power and supplies. Electricity is only available sporadically (8-12 hours per day). The Gaza power plant which at one time could produce 140mW off power now is only capable of 60mW. 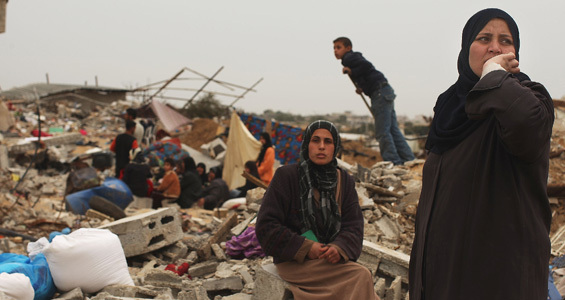 The Deep Poverty Line for Gaza is $2.3 per day – 70% of the population now lives on the equivalent of $1.2 per day. 80% of the population relies on outside Humanitarian aid which has been restricted from 200 trucks per day to 45 (500-600 are estimated to adequately meet current need). Millions of liters of sewage remain untreated daily and runs openly into the sea. The healthcare situation is horrendous with a lack of supplies and electricity and cases of easily preventable disease are on the rise. Doctors report a growing mental health crisis as Gazans cope with loss of life, livelihood, and the daily anxiety of trying to survive. 56% of the population are children who will bear the brunt of this mass imprisonment and humanitarian debacle for decades to come. The chief reason cited for this nearly complete blockade (imprisonment?) 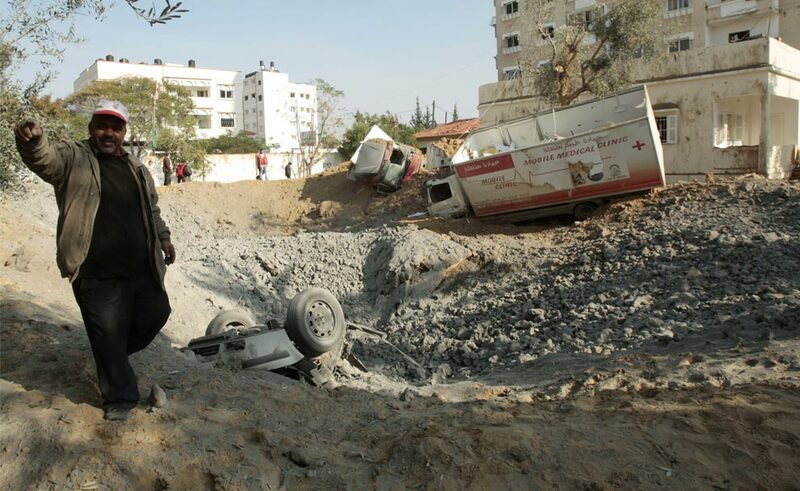 of Gaza by Israel is security, namely the on-going Qassem rocket attacks on Southern Israel by militant groups in Gaza. In four years these have resulted in 11 Israeli deaths. In the same time period over 2500 Gazans have been killed in retaliatory attacks. One of the objectives of Operation Cast Lead was to end this largely ineffective rocket attacks. A year later they still occur as a beleaguered populace lashes out against the decades old military occupation. A network of smuggler’s tunnels that would put Hogan’s Heroes to shame has developed over the years beneath the Gaza-Egypt border. Everything from medecine to food to cement to guns are reportedly moved through this network. To Gazans these tunnels are a life line. Egypt recently began building a security wall which will apparently extend 20 meters deep in hopes of cutting off this activity. The project also includes pipelines which will flood any remaining tunnels with sea water with unknown consequences for the natural aquifer and already limited fresh water supply in the area. And so to echo the poem in MLK’s sermon from so long ago . . . The stark truth of the situation in Gaza is readily available to anyone who cares to find out, from any High School student with an internet connection to the halls of power in the the most affluent and influential nations in the world. Wrong remains on the thrones in both Israel and Palestine, and indeed around the world, as those who govern turn blind eyes and issue anemic policy statements and position papers. The future of Gaza seems not just a dim unknown, but shrouded in deepest night. Some scientists figure that the environmental toll alone will take decades to reverse – the entire area might be condemned as uninhabitable if American EPA standards were enforced. And yet God himself is in the shadows keeping watch above his own. When, oh when, will justice roll down for Gaza? Justice will never be fully meted out by walls, rockets, guns, or the strong arm of man. It will only come at the merciful hands of the Almighty and in His time. When will the day of justice come for the weak and widowed and orphaned of Gaza? Not a day too soon. But on that day woe to any who has the blood of injustice on their hands. Those stains can be invisible in the normal light of day but will be shockingly revealed when the light of Him who watches from the shadows is fully revealed. This truth resonates today as much as it did in 1963, but it applies not just to blacks and whites, but to Israelis and Palestinians and indeed, all peoples of the world. We cannot walk alone, nor can we simply expect to lay down centuries of hatred and walk arm in arm singing kumbaya. No, we must walk together humbly in fear of God for the shadow we perceive around him is of our own making and will one day be laid bare. On that day we will be ashamed of the sufferings we have imposed on each other in the name of what we supposed to be right and dear and true. 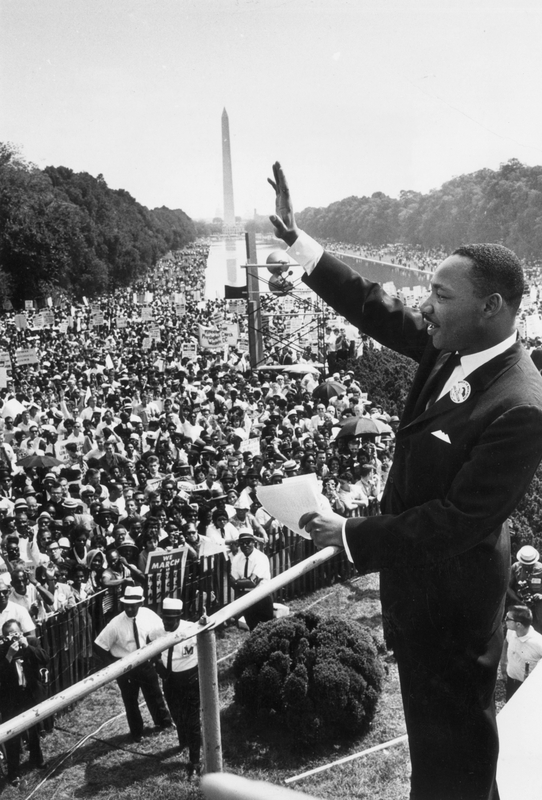 MLK’s unwavering and powerful commitment to non-violent resistance changed the tide of history in America. He did not seek to kill his enemies, nor to be killed himself. Yet his tragic assassination (martyrdom? ), served as an exclamation point to the end of a life lived fully for God and others. Change did not happen overnight in America and deep pockets of inequality, intolerance and injustice can still be found. But part of the legacy of Dr. King’s life will be played out on the national stage tomorrow when Barack Obama is sworn in as the 44th (and first black) President of the United States of America. We have come a long ways since the days of slavery, lynchings, and race riots. 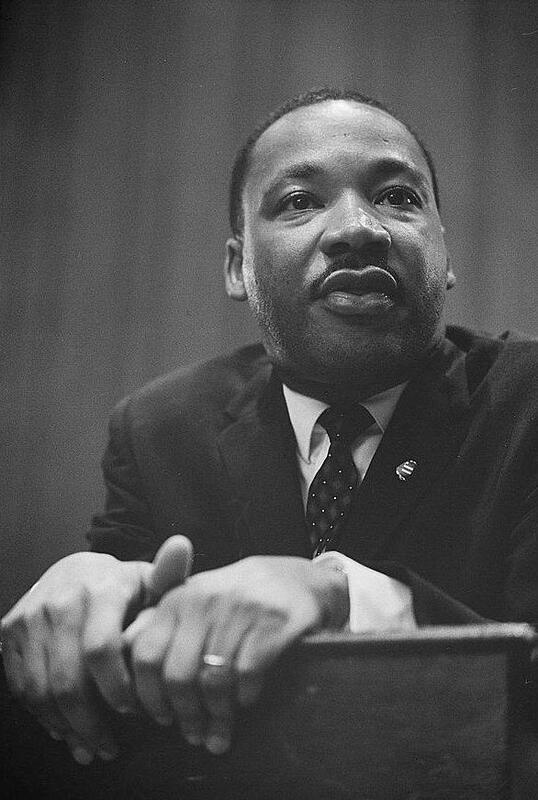 I have often wondered when the Palestinian (or for that matter Israeli) Martin Luther King Jr. will step forward and declare non-violence as the “most potent weapon available to an oppressed people.” Things have been quiet in Gaza since Israel and Hamas stopped flinging artillery at each other on Sunday. Israel has declared that they will pull out troops by the time Obama is inaugurated. To me, this confirms my gut suspicions three weeks ago that this was a carefully calculated “shift-change” war. Just like the cat burglar who knows the streets won’t be watched for 30 minutes or so while the local police changes shift, Israel struck when there was very little America could say or do. George W. and his crew were on their way out and Obama and his on the way in. To me it actually seems like a kind of political slap-in-the-face from our supposed strongest ally in this part of the world. That said, I hope the Israeli army does honor it’s inaugural deadline. Maybe I’m too cynical. Maybe they really are interested in seeing what Obama brings to the table. What will America's historic new President bring to the table? Many, myself included are hopeful that he (and his political team) will be a success. Of course, when it comes to baseball - Go Cubs! I know that I am very interested to see what kind of change he can bring at home and abroad. Personally, I’m excited that Barack Obama will be our new president. I know all of my seriously conservative friends are scared of all the what-ifs, but we should all really be genuinely hoping that President Obama is a brilliant success. If he isn’t the hopes and dreams of so many will be dashed. All politics aside this is a huge step in American history, one that us “majority” folk probably don’t truly understand. But truly, I can’t imagine where the country or the world will be 4-8 years from now if Obama is a failure. I think it is in everyone’s best interest that he does a fantastic job (whatever that means – personally, I wouldn’t wish being President of the USA on anyone – way too many headaches). So as Americans celebrate the inauguration of a truly historic new President (or fret and hold their breath) Gazans pick up the peices of their lives after 3 weeks of fighting. Over 1200 Palestinians are dead. Around 1/2 civilians. Maybe 1/3 children. 13 Israelis dead. 3 or 4 civilians. Will the quiet last? I doubt it. It’s uncanny how 5 decades later Martin Luther King Jr’s words still hold a haunting power. World leaders would do well to listen carefully to these words from the past. I think if he were here today, MLK would make the very same speech. I am hopeful that Obama will be man enough to follow in the footsteps of the peaceful revolutionary who paved the way for his presidency so many years ago. If only those in both Israel and Palestine whose hands are responsible for carving “highways of death through the stratosphere” would also heed MLKs message and take up a different, more potent weapon. PS. – If you are interested my friend David is chronicling (as he is able) his trip to the inauguration on his blog Signs of Life. If you don’t read it on a regular basis, maybe now would be a good time to check it out. 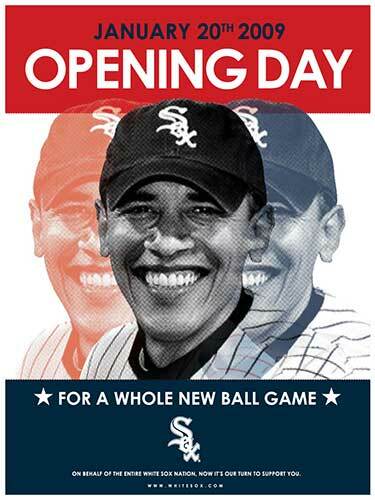 Also, if you like the Obama/White Sox poster it can be found here. We sipped cappuccino this morning as images of violence and shattered lives flickered across the screen of the large flat panel TV. We had met friends for an impromptu study session at a Euro-style cafe in Amman. Waves of memories flooded me as correspondents from Al-Jazeera stood in front of the Gaza skyline that I remember well from the late 90s. A couple of dark plumes of smoke rose from recent attacks, but otherwise the scene was eerily quiet for this bustling Middle Eastern metropolis. Like a ghost town. I’m not much of a believer in ghosts, but the events of the last week and a half will haunt many for years to come. Consider the families of those who perished while taking refuge in a UN school building on Tuesday (article here). Israel alleges militants firing rockets from the school and using those seeking refuge as human shields. Palestinians and the UN say that there is no evidence that there were any militants at the school. And the world will probably never know. Of course everyone has an opinion and you can read them in the comment streams of any online article covering the tragedy. Those predisposed to believe the Israeli story are outraged that Hamas would use human shields. Those predisposed to believe the UN or Palestinians are outraged that Israel would target an obviously civilian target killing innocents. And we all sit back and enjoy our cappuccinos and go on and on about something we really know nothing about. The UN has called for an independent inquiry into the attack, the single worst of the current campaign in Gaza. And most deadly for Palestinian civilians. But will it really matter what the investigation turns up? If it’s reported that there were militants at the school Palestinian supporters will say its a lie. If it’s found that there were only civilians at the school Israeli supporters will say it is a lie. We will probably never know that part of the truth. But we do know that today families mourn the loss of their loved ones and wonder why they had to die this way and wonder when it will all end. 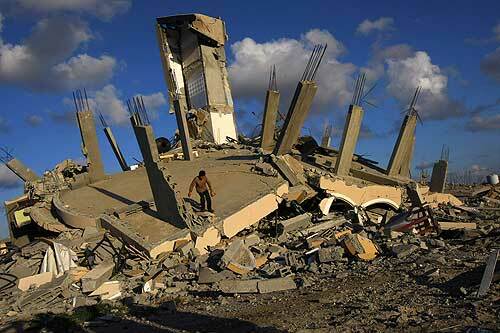 Over 600 Palestinians dead at latest count including at least 150 civilians, maybe more. At least 10 Israelis dead including 3 civilians. Each life precious to their family and to God,whether they were civilians or soldiers. World leaders are scrambling to try once again to resolve an age-old conflict, and convince both sides to put down their weapons. Meanwhile everyday people like you and me go to bed at night wondering if it will be the last time they lay next to their loved ones and wonder when they wake up if they will make it through the day. “If you love those who love you, what credit is that to you? Even ‘sinners’ love those who love them. And if you do good to those who are good to you, what credit is that to you? Even ‘sinners’ do that. And if you lend to those from whom you expect repayment, what credit is that to you? Even ‘sinners’ lend to ‘sinners,’ expecting to be repaid in full. But love your enemies, do good to them, and lend to them without expecting to get anything back. Then your reward will be great . . . Be merciful, just as your Father is merciful. Many will dismiss this as sentimental thinking. But you must remember that Jesus grew up under the brutal military occupation of the Roman Empire. When he said people should love their enemies and be merciful as God is merciful he was talking about taking a radical stand for peace in the face of physical violence. Can you imagine being a parent in Gaza right now? What do you tell your children? Can you imagine being a soldier on either side? How do you decide to pull the trigger or push the button that end’s another’s life. 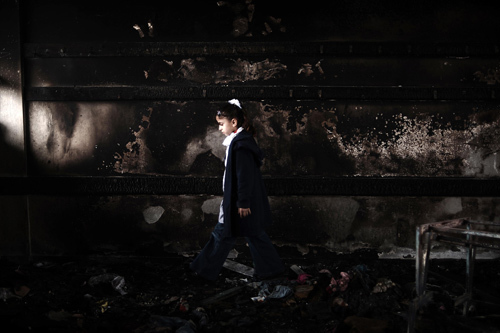 The haunting of Gaza will last for years after the current conflict ends. And I’m not talking about ghosts, but rather images of war permanently seared into young minds and the blood stains of family members and the blood stains of enemies on the hands of both sides. I’ve got to say that my cappuccino tasted a bit sour this morning and it wasn’t the fault of the barista. Top Headline: ‘When we are fasting, we are all one‘ It’s hard to explain to someone living in the West how culturally significant iftar, or the meal to break the fast is here in Jordan. Life is totally re-oriented during the month of Ramadan so that you are able to make it home to break fast with you family or friends. We had the ironic experience of eating at TGIFriday’s last week right at iftar. I am sure we were one of 2 non-Jordanian/Arab couples in the packed out restaurant. Will write more on that experience later. 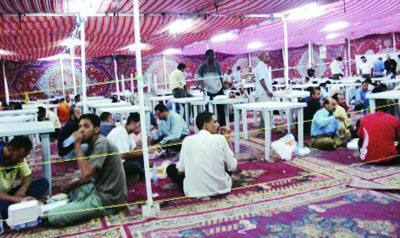 That being said many do not have the means to prepare special meals and so this article discussed the numerous iftar tents set up around the city to help the underprivileged. These tents are sponsored by wealthy individuals, corporations, and also the royal family. In particular, HM Queen Rania has a tent which hosts a different group in need each night. (to check out the Queen’s fascinating website click here and follow the 3rd link.) There is much concern for the poor here during Ramadan, which is the traditional time to give your zakat, or alms, each year. But I wonder a bit about the poor the rest of the year. If they don’t have the means to prepare an evening meal in Ramadan, what about next month? Who helps out then? I also wonder if Christians ever sponsor iftar tents or if that is taboo? Three AIDS cases registered: which brings the number of cases this year to 7. Not sure how that compares with the States – but a quyick search gave me a stat of over 30,000 cases in the US last year. I don’t think Jordan is on that track. The article made a point to note that the three new cases were infected abroad and also pointed out that one was a woman. I wonder what it is like to have AIDS in this country where honor and shame are so much at stake. Will this woman’s family have compassion on her or scorn? Will she receive good medical treatment? I also wonder if AIDS cases are under-reported here, The government is definitely concerned about it – any foreigner staying in the kingdom more than 6 months has to get tested! West Bank settlers take over more land – group: Interesting to see that an Israeli human rights group that I often quote (B’Tselem) is referenced as front page news here in Jordan. The article reports on 1,100+ acres annexed by Israeli settlers in the West Bank. Half of this land was private Palestinian property. It was taken for “security” purposes by fencing it off under the watchful eyes of armed settlers and soldiers. This same method of illegal settlement expansion was going on 10 years ago when I was in Gaza. Soldiers and settlers would take Palestinian farmland at night by extending the fence by 10-20 feet, citing attacks from that property that never occured. It should be noted that these new security measures are being taken inside Israel’s already existing “security” barrier. 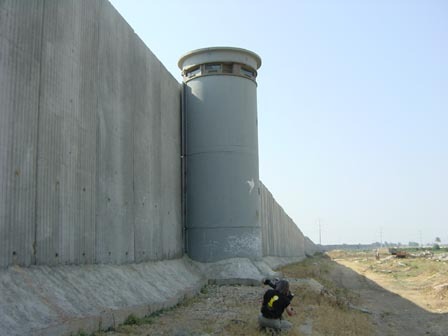 I’m all for protecting people from suicide bombers, but when an entire town is surrounded by a wall like this it seems like collective punishment to me. As I’ve said before, it would be as if the rest of California decided to wall in L.A. because of all the gang violence there. Migth help keep things safer in the short-term, but makes no sense whatsoever in the long-term. Do the Great Wall of China, Hadrian’s Wall or the Berlin Wall mean anything to anyone? Only here’s the joke . . .
You’re the priest. The muslim is a Palestinian terror suspect. And the rabbi – yeah, you guessed right – it’s Jesus. The room is spartan. There’s a table, four folding chairs, a pitcher of water, and a bright light. No one looks very happy to be here. The Muslim looks half-way between scared and defiant, you look a little confused, and Jesus – well he’s hard-to-read no matter what. The three of you sit down in silence. The Palestinian is scowling at the table. Jesus is looking you in the eye. You find something very interesting about the white spot on your right thumbnail. A moment passes and you wonder who the fourth seat is for. Jesus nods at you knowingly. The bright light is hot. You’re incredibly thirsty. You reach for the water pitcher but realize there are no glasses. You start sweating. Jesus picks up a remote control that you hadn’t seen on the table and turns on a TV mounted to the wall behind him. It’s big. It’s bright. It’s plasma. You wonder if Jesus watches Sports Center but he clicks to a news channel. Report after depressing report stream across the screen as newsreaders drone on about this or that disaster, conflict, or economic woe. Reports from Iraq, Afghanistan, and Gaza fill the stifling room with tension. Jesus glances at the door a moment before it opens. It’s an Israeli. He bustles in apologizing under his breath for being late and sits down between you and Jesus. He doesn’t look any happier than you or the terror suspect to be here. “You’re probably wondering why I’ve called you here today.” You always wondered what Jesus’ voice would sound like. It wasn’t what you expected. “I know people have been wondering for a long time what I would do about the global threat of terror and the endless string of conflicts that are tearing apart my homeland and the surrounding region. So, I just wanted to call all of you in to make it clear. You can just write down what I tell you today on those sheets of paper, I’ll sign off on it and everything will be ok.” Jesus isn’t smiling. You’re pretty sure he’s not joking and you’ve got this nasty knot in the pit of your stomach. The Palestinian nods his head. Jesus scrawls his signature across the bottom of the Muslim’s slip of paper. The Palestinian quickly gets up and leaves the room. You catch yourself wondering what Jesus’ signature looks like. Jesus signs the Israeli’s slip of paper and the man quickly gets up and leaves the room. You catch yourself wondering how much Jesus’ signature would fetch on E-bay. You hold up the cloth with a quizzical look. You open you’re mouth to reply but no sound comes out. Jesus signs off on your slip of paper. His signature doesn’t look anything like what you expected. You wonder if anyone on E-bay would even believe it’s his. Doesn’t exactly sound like the Jesus you know? Yeah, me neither. Try the following scene as an alternative. You’re sitting there between a Palestinian and an Israeli. Neither looks like they want to be there. Jesus is sitting across from you and a big plasma screen TV is behind him blaring news of conflict in the Middle East. “You’re probably wondering why I called you here today.” You always wondered what Jesus’ voice would sound like. It wasn’t what you expected. Immediately the Israeli and Palestinian start arguing with each other. They’re debating who’s to blame for the latest wave of violence. They both start pointing to you and reluctantly you jump into the fray, arguing for America’s support of Israel, military presence in the Middle East, and stance against terror. For an hour the three of you argue and bicker about whose version of history and interpretation of current events is correct. Your blood is about to boil over and you’re about to call for a timeout when you realize that Jesus has been strangely quiet. He’s the one who called the meeting. What does he have to say? Didn’t he have some sort of agenda put together? You look over at him and your breath catches in your throat. His head is sagging to his chest and his hands are limp on the table. He’s bruised and covered in blood. The Palestinian points out a note clenched in Jesus’ right hand. It’s crumpled and bloodstained. Has Jesus called us to be agents of death or agents of life? WWJD in the today’s Middle East? No easy answers to that one – but I wonder if we’re asking the right questions. Or if we are recreating Jesus in our own convenient image?